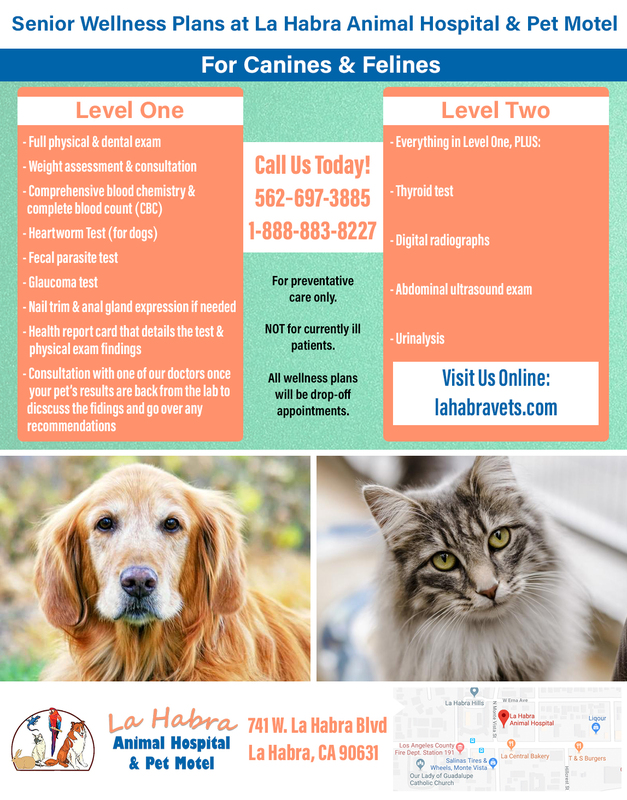 Here at La Habra Animal Hospital & Pet Motel, we truly believe in regular examinations. They are absolutely necessary to maintain good health throughout your pets’ lives. They allow veterinarians to look over your pets really well and evaluate their health. Regular examinations are also a time for learning and coaching. Our friendly staff is here for you if you have any questions or concerns about anything that is going on with your pets. This can be anything from training to diet, and much more. In our conversations we might even hear you have concerns that you didn’t realize. Our staff is trained to listen for things that clue us into the fact that we may need to investigate further. During routine examinations our veterinarians do a thorough check-up. This is also a time to ensure your pets are up to date with vaccinations and any other preventative care necessary for good health. Your pets might require heartworm prevention, deworming, or flea and tick treatments while you are at our hospital. There is another reason we recommend routine examinations. Our veterinarians can look for any potential problems that may become more serious later. We want to catch things early before your pets are really ill. We may recommend blood work to further evaluate your pets’ overall health. Please contact us today at (562) 697-3885 to schedule your pets’ annual examinations. Don’t hesitate to call if you have any questions.